Wow, have I been bad with blogging in 2012 (so sorry!)! … The truth is, I took a mini vacay from posting as I really was away in Florida and then transitioning into a new job 🙂 Things have been pretty crazy so far in 2012. This is a BIG year for me- the wedding is only months away! p.s. I got this bag while I was in Florida and I’ve been using it every day since. It holds literally EVERYTHING and it was on sale for only $25!! Saw this look on Chictopia, and had to visit your blog! Love the layers, and the colors look so amazing on you! LOVE this entire look!! From the aviators to the vest to the D&G heels! Perfection! Keep up the Great Fashion Inspiration! 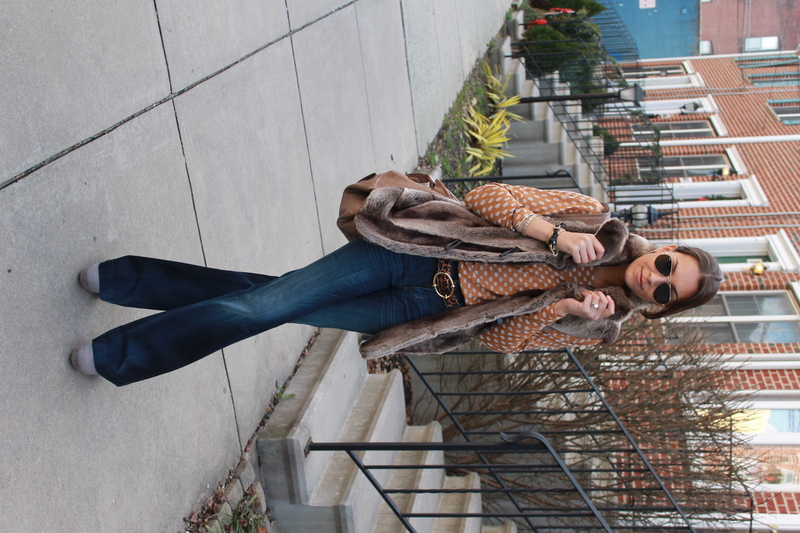 Great look..how could you not look great in that fabulous faux fur vest..so warm and cozy. New job? Do tell! Hope you settle in well. Happy week to you.